You are here: Home / All posts / What can devo do for women? Political devolution is well on it’s way in Greater Manchester, with the health and social care budget having been devolved last April and with the imminent election of the Metro Mayor in May. However, there have been criticisms over how representative those making the devolution deals are of the communities they make decisions for. 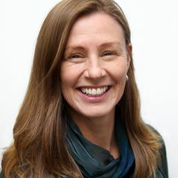 In the week of International Women’s Day, Professor Francesca Gains looks at these issues and considers what devolution could do for women in Greater Manchester. Greater Manchester along with several other combined authorities with ‘devo deals’ are about to enter a period of campaigning ahead of the election of a new ‘metro mayor’ on the 4th May. The deal to accept a new elected metro mayor to lead a cabinet of the leaders of the ten local authorities in the Greater Manchester Combined Authority (GMCA) was signed back in November 2015 by the leaders of the authorities involved, the region’s Police and Crime Commissioner and the then Chancellor, George Osborne. 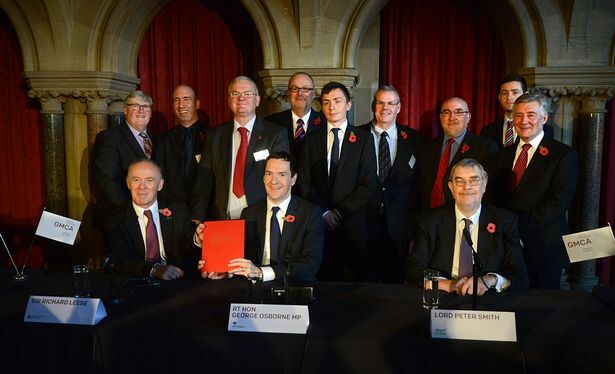 As the only female leader (of Stockport Council – one of the 10 local authorities in the GMCA) couldn’t attend, the occasion was captured by a picture of eleven white men making the deal. In fact the picture portrayed an unnecessarily unflattering depiction of the representation of women in the North West which has better than average representation in terms of numbers of women councillors and MPs than other regions. Manchester City Council for example has fifty percent female councillors. Nevertheless the image of a significant change in local governance being signed by only men raised the question of whether the devolution arrangements were ‘women friendly’ or could deliver diversity in representation to match the diversity of the population in Greater Manchester. The idea that the devolution agenda is excluding women from decision making was compounded very recently with news that a major networking conference on the Northern Powerhouse had no women listed amongst the headline speakers. On the week of International Women’s Day, as the election draws close and the candidates set out their manifesto promises, it is a good time to look at what devo could do for women (and other under-represented groups). A question which is relevant when looking at both the political representation of women in devolution arrangements, but also in terms of the significant policy decisions affecting women which will be taken under the new arrangements. Firstly turning to political representation, of the six areas scheduled to hold elections for mayors, only six out of twenty six declared candidates are women. This very low number of women candidates was seen also in the recent Police and Crime Commissioner elections where only twenty eight women stood overall and where twenty of the forty areas with elections had no women standing. It is highly likely that when the results are announced only one of the mayors elected on the 4th May will be a women. It is important to understand why it might be difficult to get women to stand for these new directly elected roles. There is nothing inherently ‘male’ about this role – there are plenty of highly successful women mayors elsewhere in Europe and in those areas in England where there are city mayors. It maybe that unlike running for office as a local councillor or MP there is not yet enough ‘peer group’ support for women candidates for these roles. And these new directly elected roles are very pressured, involve a great deal of public engagement often using social media which is known to be an exposed and often abusive environment for all elected politicians but perhaps especially for women. In future elections, to increase the number of women willing to stand for office and getting elected the political parties can play a vital role in supporting aspiring candidates and in taking measures to ensure the inclusion of women on shortlists – something that hasn’t happened for the police and crime commissioner and mayoral elections even in the Labour Party which has had the best record to date in this respect. Turning to representation of women inside the new Mayor’s cabinet what are the opportunities to ensure senior women councillors are involved in decision making in the new devo arrangements? The legislation introducing metro mayors states that the new Mayors’ cabinets will be comprised of the leaders of the combined authorities of the areas covered. This arrangement ensures strong geographic representation of the local councils making up the combined authority but again leads to a disparity in terms of getting women round the decision making table. Currently in Greater Manchester, 9 of the 10 leaders are male with the only female being Jean Stretton Leader of Oldham Council. However, there are opportunities under the legislation for the new mayors to support the inclusion of women around the cabinet table for example through appointing a female deputy mayor and/or ensuring each cabinet role held by a (male) leader has a female deputy. This will be supportive of future more gender balanced succession arrangements and give senior female councillors experience of acting in the combined authority. Adopting these kind of arrangements to bring women into cabinet are used elsewhere very successfully to encourage more gender balanced governing arrangements. And what of the powers the new mayor will have and how can these be harnessed to meet the needs of women voters? There are great opportunities through devolution of budgets and decision making from Whitehall for locally elected politicians to work more closely with the communities of interest to understand policy problems and how to address them. Understanding the gendered patterns to policy problems will be crucial for the new Mayor when considering how to use the new devolved powers over crime and policing, housing and transport. For example there are still huge gender disparities in how men and women fare in policy terms. Women were shown to be more likely to have bore the brunt of tax and benefit changes under austerity due to their greater reliance on low paid, part time work and greater reliance on benefits. Policies to improve economic development, health and social care are just some of the areas where the mayor and cabinet could address gendered disparities in employment and job security. And crime has very gendered patterns with city centre violence being suffered predominantly by young men, whilst the majority of victims of domestic violence are women. The new mayor (like all public officials) will have an equalities duty to consider their policy proposals for their effect on diversity groups. They will need good policy advice to identify the gender impact of policy proposals. Also, it is crucial to ensure opportunities for women’s groups and all communities of interest to be consulted and informed about policy proposals and to have the chance to question the mayor and cabinet about the impact of proposed policy developments. Currently, Cllr Jean Stretton the leader of Oldham Council holds the fairness, equalities and cohesion portfolio on the GMCA cabinet. The focus this portfolio gives will be key when considering policies development under devolved powers and how to reach out to under-represented groups and communities of interest. Devolution, like all new developments in democratic arrangements, has the potential to deliver for women. But it requires a commitment to support women to stand for office and to take up leading roles once in office to improve rates of political representation and the diversity of voices round the cabinet table. And policy developments flowing from devolved budgets need to be informed by good quality policy advice about how to ensure improved gender equality. Devo has the potential to do a great deal for women – now is the time to demand it.